I finally got a chance to finish the last of this year's Printz honorees a week or so ago, but it took me at least another week to have time to sit down and reflect on all of them. I don't get a chance to read a ton of YA since I try to keep up with picture books and middle grade as well, so I wasn't surprised that I had only read one of the honorees, The Hate U Give by Angie Thomas, but I did have Long Way Down by Aaron Reynolds on my to-read list, and had started Vincent and Theo by Deborah Heiligman. I'll give a mini-review of each, and link to any full reviews I've done. We Are Okay by Nina LaCour was the medal winner this year. This is the story of a teenage girl dealing with shock, grief, and depression, prompted by the death of her grandfather and the revelation of the secret he was hiding, which causes her to completely cut herself off from her old life. We follow as her former best friend's visit helps her finally begin working trough all her feelings. Much of this story takes place in the main character's head, or in dialog with her friend, and deals with serious issues, but is hopeful, not depressing. This could be a good book for a teen who has experienced loss to relate to, as well as good for friends of someone who may be grieving to help them better understand, and see that everyone grieves differently, and some ways are more healthy than others. Long Way Down by Jason Reynolds was one of the darlings of the YMA's this year, winning multiple honors, and rightfully so. This is one of the rare books that made me thing "wow, this is really amazing" as I read it. A young teen is grief-stricken when his older brother is killed, and feels compelled to go after the person he believes did it. He gets his brothers gun, and gets on the elevator down. But this will be the strangest ride of his life, as each person that gets on is someone Will knew, when they were alive. And each gives Will a new perspective on what he's about to do. I was not as happy with this book as a Newbery Honor because in my opinion it is clearly for teens, not children, but I was very happy to see it as both a Printz and CSK honoree. 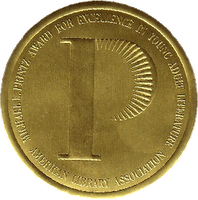 If it were up to me, I might even have given it the Printz medal. I like a lot of books, but it is rare that a book wows me like this one did. The Hate U Give by Angie Thomas is another darling of the awards this year, winning the Morris Award and CSK honors in addition to being a Printz honor book. I'm sure this was one of the few surprises, as this book was talked about by everyone all year long. Starr leads a double life, living in a poverty-stricken, gang-riddled inner city neighborhood with her family, but attending a private school in a gated community in the suburbs were the vast majority of the students are from affluent white families. When she witnesses the death of a close friend in a police-stop gone wrong which casts the community in turmoil, she feels torn between loyalty to her friend and wanting to stay safe, and questions her own identity and friendships. A very compelling with story with well-developed characters, particularly Starr and her family. Strange the Dreamer by Laini Taylor is a beautifully written, epic fantasy, that has the feel of a fairy tale or mythology. This story deals with terrible choices and the overriding guilt, vengeance, mercy, and love, and is the first of a series, so don't expect a real ending. It is also VERY long at over 500 pages, so might be best saved for a summer read when one has enough time to devote to getting lost in such a long book. Vincent and Theo by Deborah Heiligman was the one Printz honor book I could not read. I was actually looking forward to it, since I generally like biographies and I am a HUGE fan of Van Gogh's art; plus I liked the cover art. But much to my surprise, I just could NOT get into this book, and I really tried. I read several chapters, but it just did not engage me at all. It seemed as though the author wasn't quite sure who her audience was, because in some ways the writing was patronizing and seemed aimed at lower ages, but the content was definitely more teen/adult. It also was not told in a real narrative, but a series of many very short (3-4 page) chapters and was very choppy. It just did not flow. I finally had to give up, because I had too many other books to read, but I was very disappointed. All in all, I'm pretty okay with this slate of honorees (though I would bump Long Way Down up to medal winner), with one exception. The first four books were all very different, but all very good and I could see appealing to teens. The last one, Vincent and Theo, I just do not get why it was chosen at all, and I do not think that it would be very appealing to teens. I do know that many people really like it, but it is so rare for my to DNF, I just don't see what they are seeing. Maybe someday I'll give it another try. So what did you think? Are you happy with the medal winner? The honorees? Would you have picked something different?